An unusual large console sideboard with plenty of rustic charm. 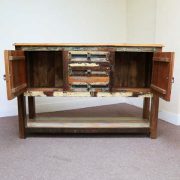 Is it a console table or is it a sideboard? 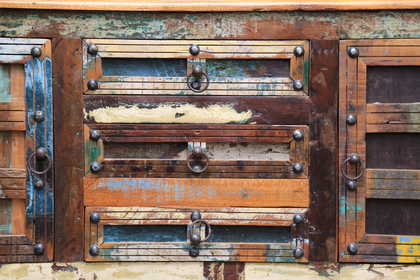 Perhaps both! 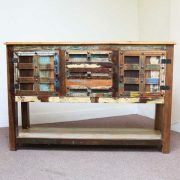 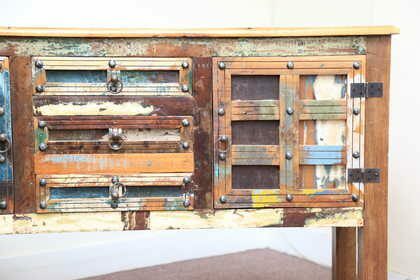 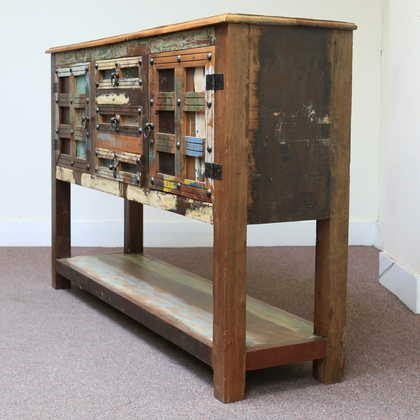 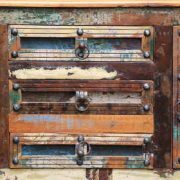 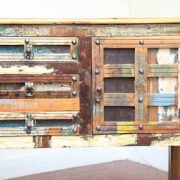 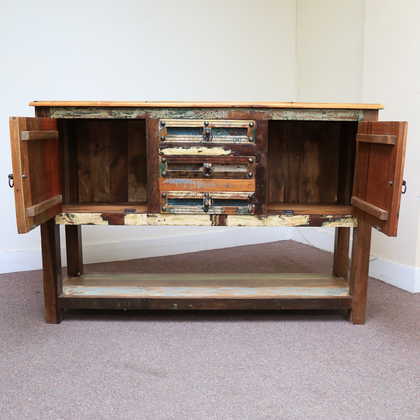 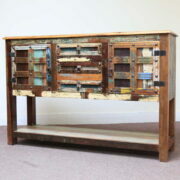 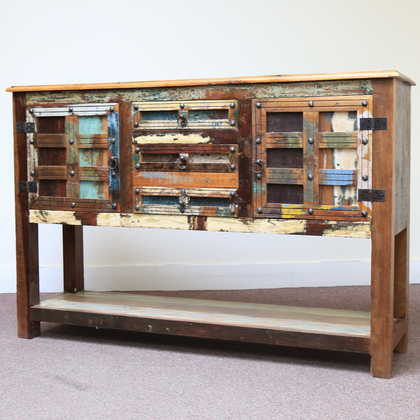 This very unusual console sideboard is made from a mix of reclaimed timbers, giving it a wonderful rustic charm. 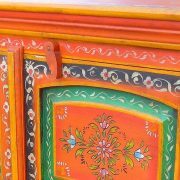 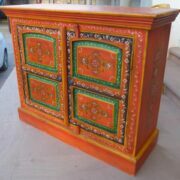 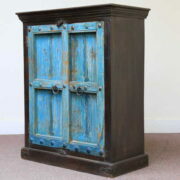 Painted in distressed pastel blues, whites, reds and creams, it has two side cupboards, three drawers and one shelf below. 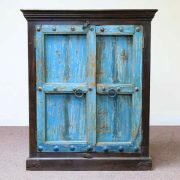 Chunky doors, metal studwork and strong design give it plenty of character.